Kae is in France this week, and in the absence of anyone sensible around I decided to do some decorating. Though one thing leads to another….. The problem was rot. 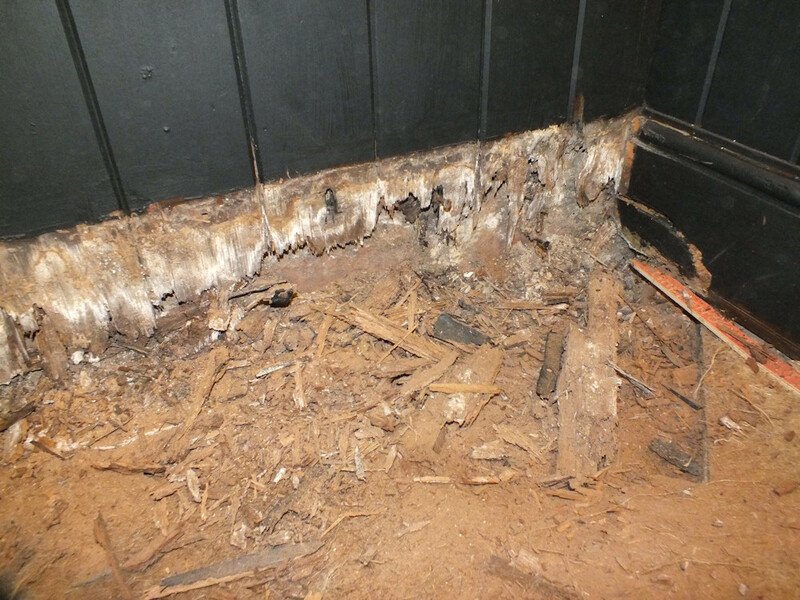 Initially the term dry rot was bandied around but it seems it was good old-fashioned wet rot. Under the carpet in the Snug there was some lovely 1920s parquet flooring. Unfortunately the ground level outside is about 12 inches above the floor level inside and the far end of the room has been damp for years. 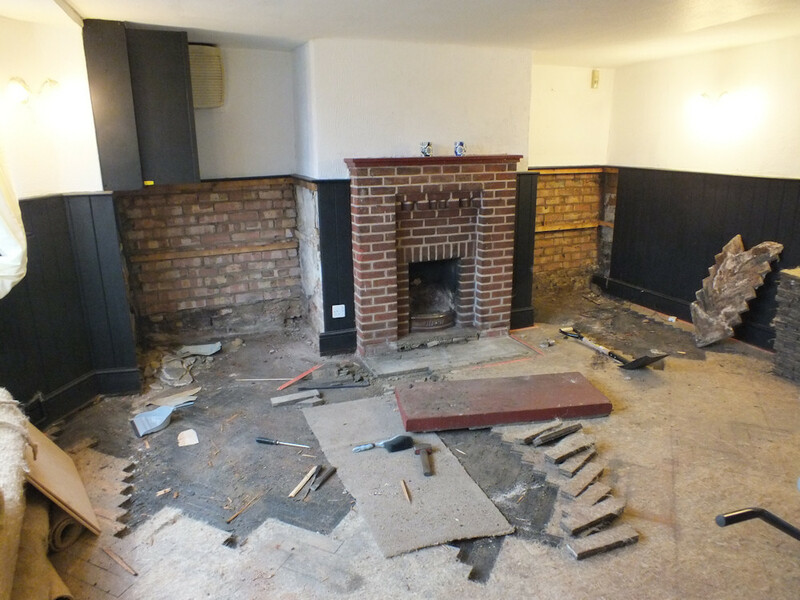 The parquet floor and the later wood panelling had crumbled away and needed to be brushed up. The rot appeared to be confined to the area around the end wall and fireplace. 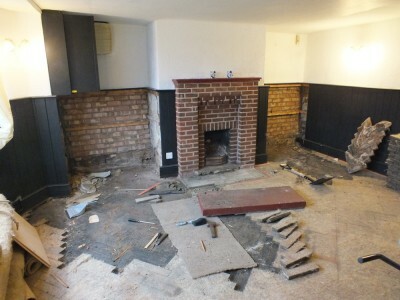 I had intended to remove all of the parquet but moving further into the room the parquet floor appears to be in reasonable condition (apart from maybe the bay window area). I’m in two minds whether to restore the floor or recycle it on eBay. Before I keep it I’ll need to find a solution for the damp problem. For now the rotten bits are on my skip pile and I’ll rest the carpet back on the good bits. The missing bits will leave the structure exposed to try to dry it out. This entry was posted in Repair on March 20, 2013 by malcolm.